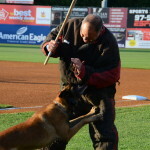 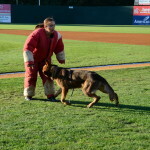 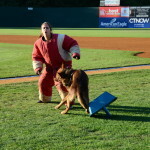 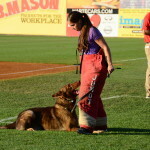 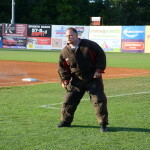 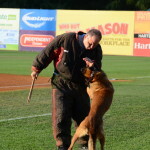 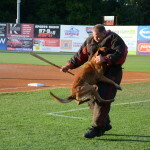 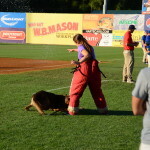 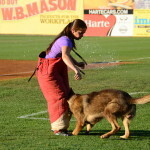 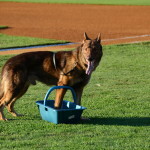 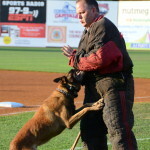 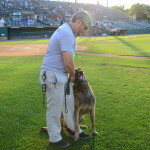 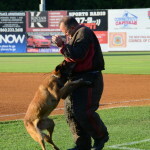 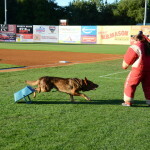 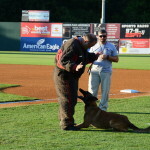 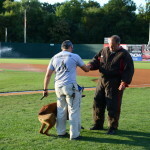 K9CS was honored to be a part of the special Red, White & Blue day to honor Police, Fire and EMT at the New Britain Rock Cats night on Friday, August 28th. 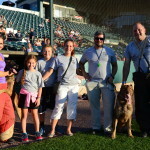 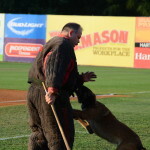 Bryan, Candice and Raul, along with Pi and Dolmen made a great impression on the crowd as they demonstrated fantastic K9 protection training and obedience. 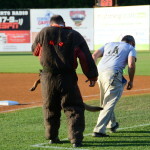 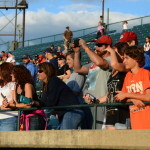 Check out the photos – BIG thanks to the Rock Cats’ photographer, the staff, the team, and fans for all their support!